Common sales tax errors can cause problems for even the most successful businesses. The sheer variety of approaches taken by various jurisdictions means that a labyrinth of tax law awaits the unwary who walk in without a map. That’s why we’re presenting to you the six following errors that companies most commonly make with their sales taxes. Thoroughly study so that you can avoid these speed bumps in the road to prevent slowing the growth of your business. 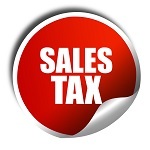 Nexus is a concept that describes where a company is responsible for collecting sales tax. It’s triggered by various factors often revolving around the physical presence of the business in a tax jurisdiction. Nexus is a very complicated topic. A company may want to consult with a trusted tax advisor to accurately ascertain just where nexus is. A company must first register with any state where they have nexus. Every additional state multiplies the number of forms necessary to file. Along with these forms come different deadlines and requirements for filing. Luckily, there is an organization called the Streamlined Sales Tax, or SST, that many states have joined to make it easier for businesses to transact in member states. But there still may be additional forms to file for individual states. Part of the advantage of the modern era is the growth of e-filing options for taxes. 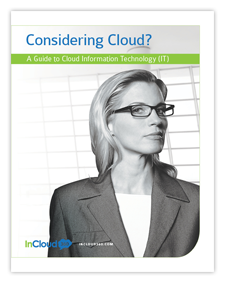 E-filing can significantly increase the efficiency of paying sales tax. Unfortunately, the speed by which states have adopted e-filing means that some now require e-filing exclusively and no longer accept paper forms. If your business is caught unawares by this requirement, it could result in delays in the tax payment process. Know what the laws are in your state and keep on top of any changes that may arise from year to year. Without adequate preparation, late filing becomes a matter of when rather than if. A business that files late will incur entirely avoidable fines and fees. The repeat offender suffers an even worse fate, as repeated late filing serves as a magnet for auditors. The best way to deal with overdue taxes is to prevent the situation from happening in the first place by being aware of deadlines and always filing on time. But if late filing is unavoidable, some states do offer amnesty programs by which you can avoid a fee. A tricky thing with sales tax is that some individual states require prepayment, particularly if you expect a lot of sales. The prepayment process varies from state to state, and it’s quite common to have to make payments at a greater frequency than the regular schedule. If you find your business subject to prepayment, ensure that you have some way of keeping track of the various payment deadlines to keep your remittance as accurate as you can. As you may have guessed, keeping track of all the various forms, requirements, filing deadlines, payment deadlines, and audit triggers are exhausting for even the most dedicated business owner. Running a business is a job on its own; piling tax responsibility on top of that is a surefire recipe for burnout. The existence of tax automation is a boon for such business owners. A sophisticated suite of software can take on the wearying task of managing your tax schedule so that you can get back to doing what’s made your company great. If you’re interested in what automation can do to make paying your taxes easier, we here at InCloud360 just might have the solution for you. Contact us today for a free consultation.